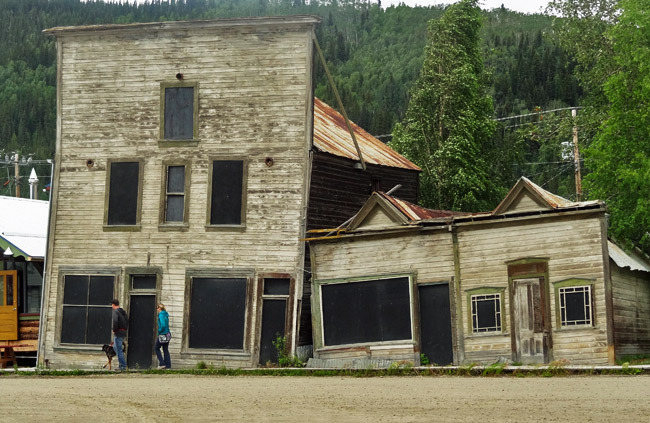 Today, whenever structures are built in Dawson City, Yukon, they are often built above the ground on concrete blocks or wooden frames. But that wasn’t always the case. 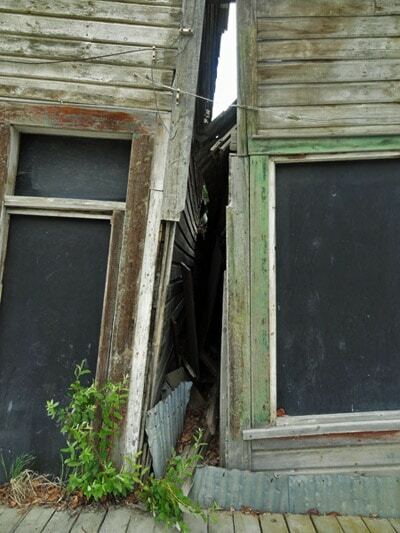 Older buildings were put directly on the ground, and that caused problems because the permafrost would thaw due to the heat inside the homes. That meant that the structures would move around a little bit as they re-settled in the mud. 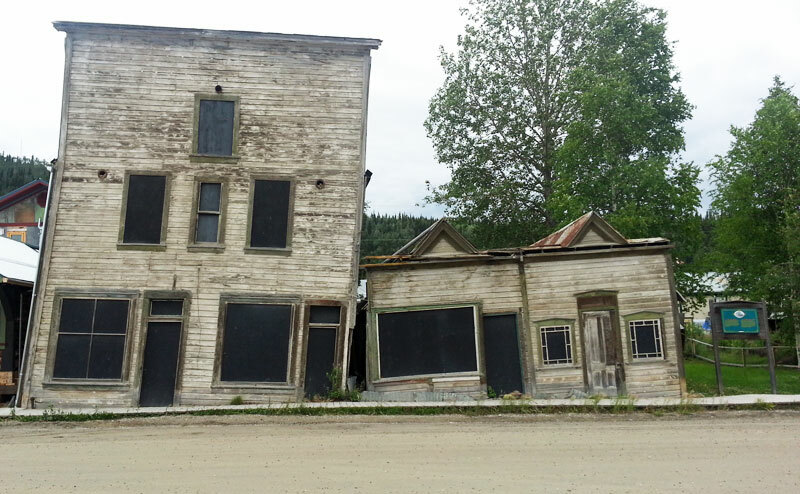 Over time, that process led to entire buildings leaning to one side or the other. On 3rd Avenue, a few of these buildings ended up leaning right up against each other. Now known as the “kissing buildings” because of the way they snuggle up against each other, these 1901 structures are still standing, but possibly not for much longer. They have become a tourist attraction as visitors to the Gold Rush town get a glimpse into how life was more than a century ago.